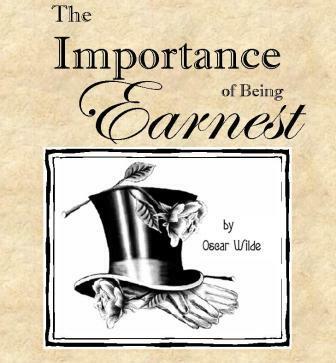 When Lady Bracknell runs a check on Jack to see whether he's suitable for her daughter, she asks whether he smokes, which he does: "A man should always have an occupaton of some kind. There are far too many idle men in London as it is". How about getting a job, dear? 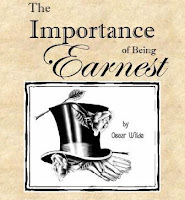 "to lose one parent, Mr. Worthing, may be regarded as a misfortune; to lose both looks like carelessness". "In matters of grave importance, style, not sincerity is the vital thing"
"A hundred and thirty thousand pounds! and in the Funds! Miss Cardew seems to me a most attractive young lady, now that I look at her"
How many people look much better in the light of money... but it's not enough, one must also look the part: "There are distinct social possibilities in your profile"
Oooooh Dame Dench is in the film! I have to check it out! hi hi hi... yes, my dear, you will be in for a treat! I loved the movie, will definitely try the play. Love the new background! I had fun reading this one a couple years ago and then watching the movie. Thanks for linking your review!